If you're not familiar with it, the Nokia 3 is the lowest-end model of Nokia/HMD's Android lineup. It has a MediaTek 6737 CPU, 2GB of RAM, a 2,650mAh battery, and a 5" 1280x720 display. Most phones in this category are cheap-feeling devices that can't take much of a beating, but the Nokia 3 holds up pretty well. The phone's front glass scratches at a level 6 on the Mohs scale, but the back camera is only protected by a plastic lens. The rest of the back is also plastic, but the sides and buttons are metal - not something you always see on budget phones. 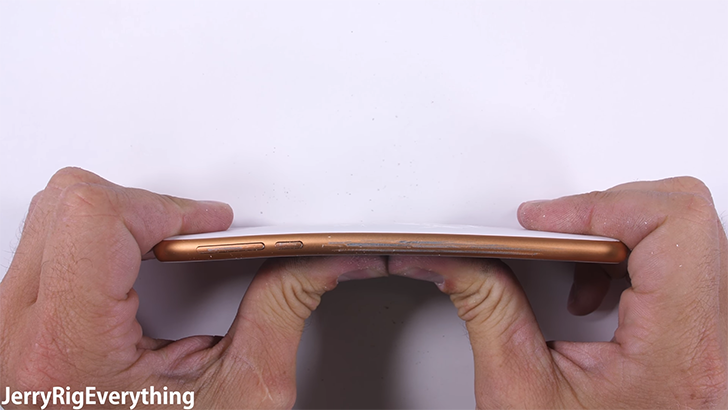 When subjected to the famous bend test, the Nokia 3 only slightly flexes. Zack's video (did you know his name isn't Jerry?) does show that Nokia/HMD is committed to building sturdy phones, even on the low-end side. But if you're in the United States, you're probably better off with a Moto E or G - with fingerprint sensors and full LTE support.